Kohl Children’s Museum provides a much warmer and more family-friendly version of Times Square with its New Year’s Eve "midnight" celebrations at 8:30 a.m. and 12:30 p.m. on Monday, December 31 at the Museum’s Glenview location at 2100 Patriot Boulevard. The Museum is breaking out all the decorations to kick off 2019 in spectacular fashion, decorating an entire wing for a full Times Square experience, from the confetti to a photo booth and music – all of it designed specifically for kids. A musical performance from Wendy & DB highlights the morning session, as the duo bring their special brand of interactive children’s music to Kohl Children’s Museum. They’ll cede the stage to a kid-friendly DJ in the afternoon, as kids will have plenty of opportunities to dance and celebrate the New Year with their friends throughout the day, including a countdown and confetti drop at the stroke of "midnight." The plethora of activities at Kohl Children’s Museum are fun for the whole family and certainly beat Times Square’s "stand around and be cold" alternative. From party hat-making to a family-sized photo booth with photos printed "while you wait," to frame decorating for those special shots, the possibilities are endless. Partiers are also welcome to explore the entire museum. 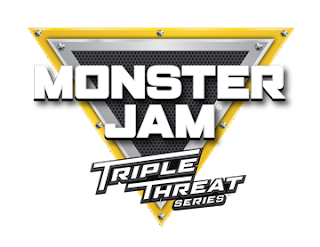 Tickets purchased after December 21 will be $25 for members and $35 for non-members. Tickets can be purchased online at: www.kcmgc.org/special-events/nye. Disclaimer: Some of the links on this post are affiliate links. Welcome back to Part 2 of our Holiday Gift Guide. This go round we will talk about toys, books, and experiences for your children. So let's begin! 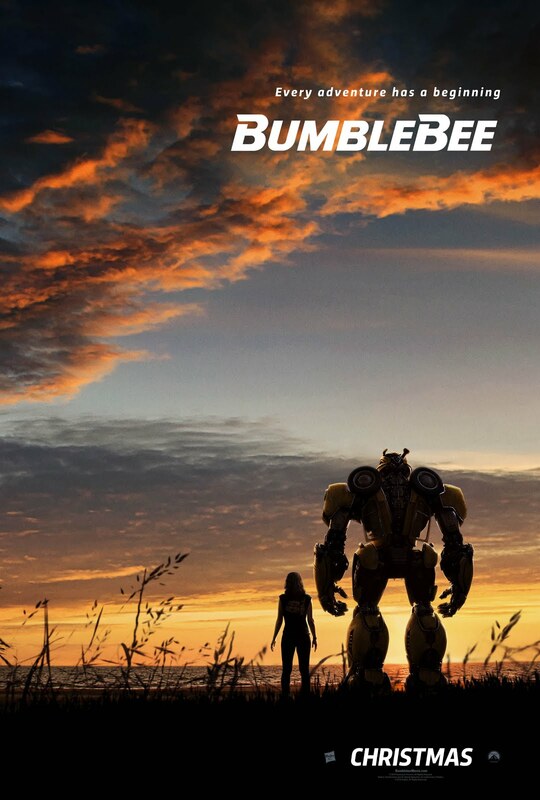 Meet Bumblebee in Chicago this Christmas Eve! What's better than a new Transformer's movie coming out with everyone's favorite little yellow beetle? Having the chance to meet and take a picture with him when you go to the theaters to see his movie! Yes, friends, Bumblebee will be available for photos with families and kids at ShowPlace ICON at Roosevelt Collection for one day only! This event will take place on Monday, December 24th from 12:00PM – 4:00PM at the ShowPlace ICON at Roosevelt Collection, 1011 S Delano Ct E, Chicago, IL 60605. 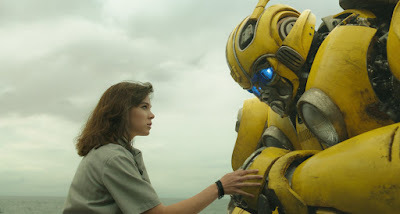 Make sure your visit Bumblebee, take a few pictures with him and tell him that the Fandads sent you! Bumblebee’s origin story will hit the big screen in theaters nationwide on December 21, 2018. Disclaimer: Some links in this post are affiliate links. It's that time of year again where we put together some of our favorite items that we feel will make some great gifts for those on your list this holiday season. One thing we are doing differently this year is splitting the list into two parts and are adding some new categories that will help in spreading the holiday cheer. So let's begin! Disclaimer: The Fandads attended an advance screening in exchange for promoting Spider-Man: Into the Spider-Verse and hosting a giveaway for our readers. Our review might be a tad biased. Just wanted to let you know ahead of time. It didn’t take much more than a couple of minutes, but there we were, represented on screen. 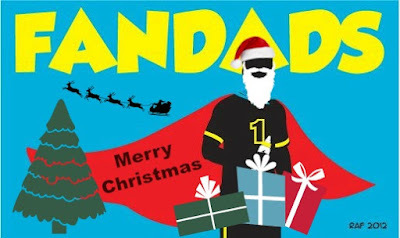 “I had those Jordans when I was a kid!” “They’re speaking Spanish!” The film is full of moments that had us tearing up. Miles had a black book, he threw up a piece, he had stickers, hip-hop music, turntables! That could be us on the screen, WE COULD BE SPIDER-MAN! 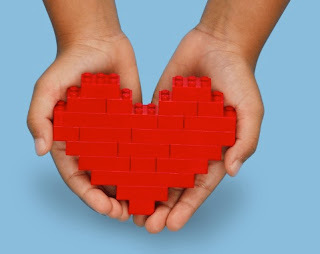 Disclaimer: The Fandads have teamed up with our friends from LEGO and received a few LEGO sets to help promote their #BuildToGive campaign. I have been fortunate to not have stepped on any LEGO pieces in my adulthood. My children are good about cleaning up after themselves when it comes to their LEGO sets, but while they are lucky enough to have some sets to build and create there are some children that are not as lucky. As a way to help out those children LEGO is sharing the gift of play with their #buildtogive campaign. Disclaimer: The Fandads were invited to the opening night of The Art Deco Nutcracker. All thoughts, opinions, and fascination are our own. Since I was a kid I have been familiar with the music from The Nutcracker. Be it through cartoons, television shows, or even commercials, I have heard the music of the beloved ballet. 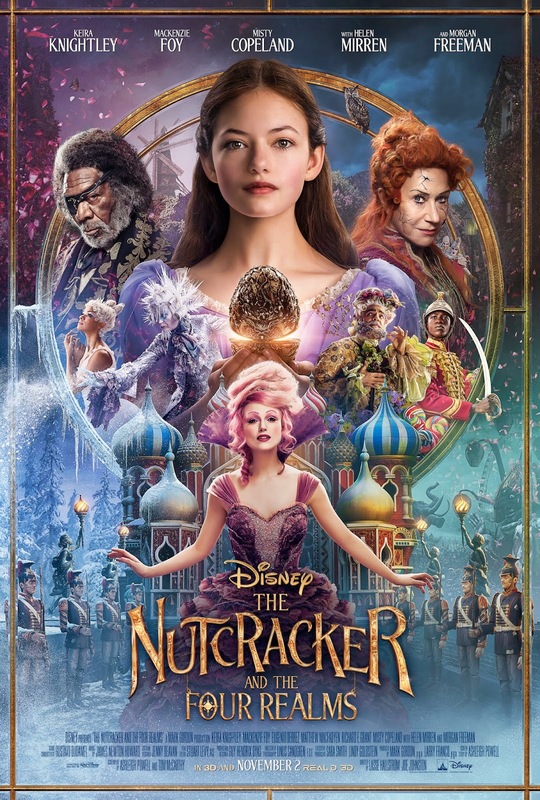 One thing that I have never done though is watch the actual The Nutcracker. Luckily, my daughter and I got to experience The Nutcracker together in the form of the Art Deco Nutcracker and we both enjoyed it. If you have been following the Fandads for a while, you know that I am a huge fan of Star Wars. In saying that, it does not mean that I do not know about Captain Kirk and his voyages with the crew of the USS Enterprise. I loved watching Star Trek when I was younger, but I really became a fan when watching The Next Generation and Deep Space Nine. The stories in those series were just so cool and innovative and I tried to keep up with the shows as much as possible. 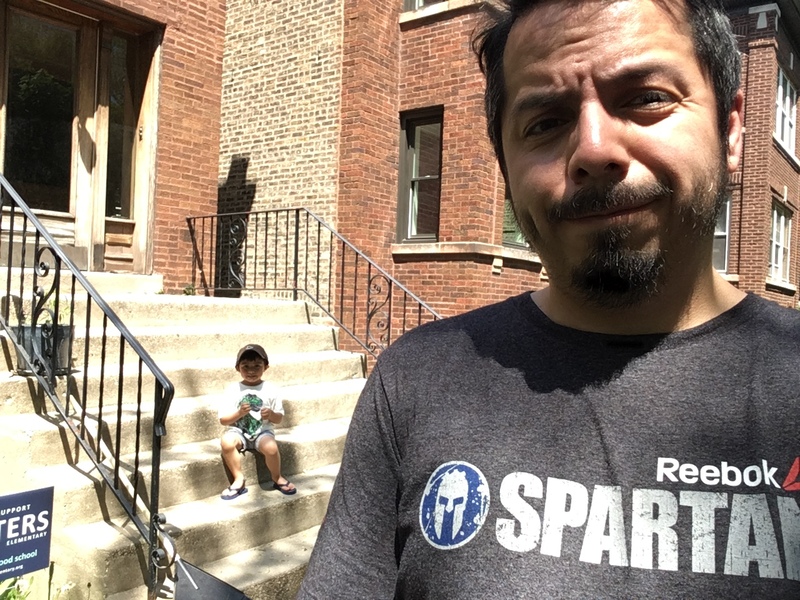 Disclaimer: The Fandads were invited to this year's Chicago Toy & Game Fair. All thoughts, opinions, and fun times are our own. The Fandads are lucky to attend to many fun events throughout the year, but the one event that we always look forward to attending is the Chicago Toy & Game Fair. I mean, how can you not like going to an event where you can play with the toys and just be a kid again with your kids? Here is our recap of the event and some of the toys we played with at the event. If you have a daughter, you have probably heard of American Girl. You have probably seen the dolls, the accessories, and the books and have seen hundreds of little girls walking around with these dolls. I think we have been lucky that our daughter never got into the dolls, but she loves reading the books. This December, we will be able to see some of the American Girls come to life in the brand new musical American Girl Live. It's been 6 years since we last saw Ralph breaking havoc down at Litwak's Video Arcade. In 'Wreck-it Ralph', Ralph was trying to find a sense of belonging and ended up finding out in the wise words of Zangief the "just because you're a bad guy, does not mean you're a bad guy". Ralph found his place in the arcade and made a new friend in Vanellope von Schweetz. In 'Ralph Breaks the Internet" we catch up with our friends and see what's new with them. I have wanted to write a follow-up to my post about my son's seizures and unbeknownst to me, my wife was writing her own post about it. 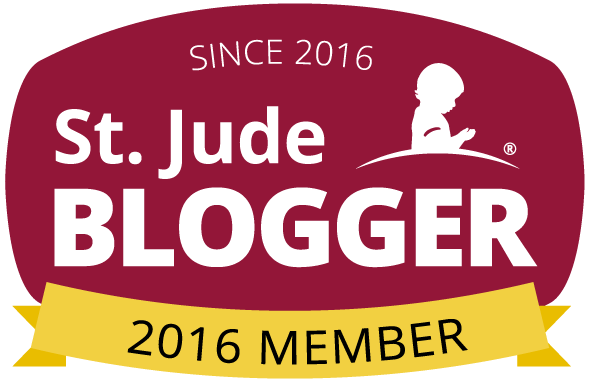 So here is my wife's guest post which sums up what has been going on and what progress we have made. 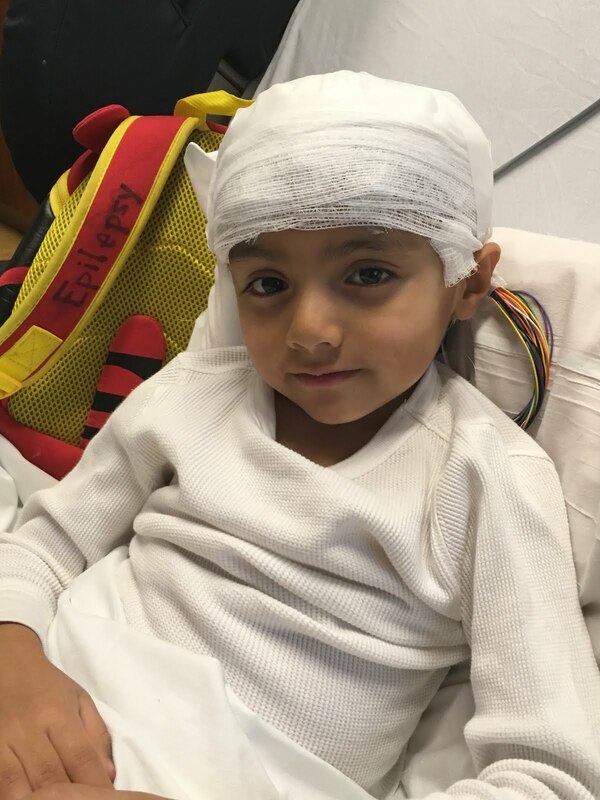 So this is the first time I’m publicly (at least on social media) talking about what happened to my son and what my husband and I have been through this past year with him. Maybe I’m still processing it, maybe I don’t know what to say, maybe I don’t want anyone feeling sorry for me, maybe I just don’t want to talk about it all the time. Whatever it is, I am talking about it now in order to bring #epilepsyawareness to light. November is #epilepsyawarenessmonth so it is time to talk about it. Bear with me until the end. Disclaimer: The Fandads were invited to attend a screening at CMX Market Cinema and enjoy our choice of the gourmet offering from their concessions stand. All thought, opinions, and full bellies are our own. Going to the movies is always an adventure, am I right, friends? We usually have to find a movie that the entire family would like to see which is sometimes hard if there is not a family movie playing at the local theater. We also have to go at a time when we know our children will be able to sit still for the length of the movie. So when we go to the movies, we always try to have a good time and exploring new movie theaters is one of those ways to keep the theater going experience unique and fresh. Getting into the holiday Spirit with How the Grinch Stole Christmas: The Musical! 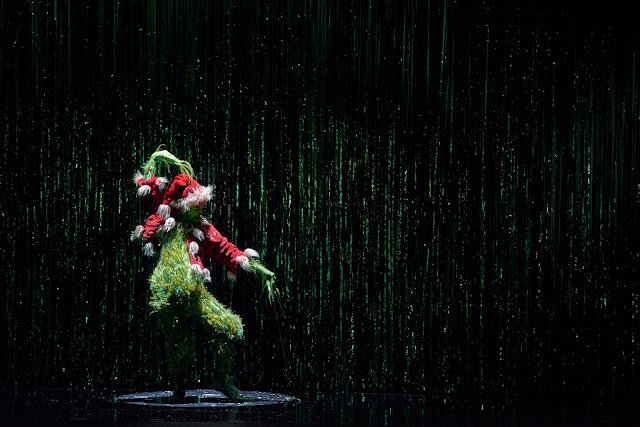 Disclaimer: The Fandads were invited to a performance of "How The Grinch Stole Christmas: The Musical" in exchange for a review. All thoughts, opinions, laughs, and tears are our own. When I was younger, I remember watching "How the Grinch Stole Christmas" on television. I remember the voice of the narrator telling the story of the Grinch and hearing "You're a Mean One, Mr. Grinch" over and over. It was never really a big thing for me when I was little, but I liked watching it when it was on. Disclaimer: The Fandads were provided with a review copy and additional copies to giveaway in exchange for a review. All thoughts, opinions, laughs, and teary eyes are our own. One thing my family loves when we go see a Pixar movie is the shorts that play before the movie. From the funny "For the Birds" to the most recent "Lava", we love seeing the creativity in these shorts and can not wait to see them again. 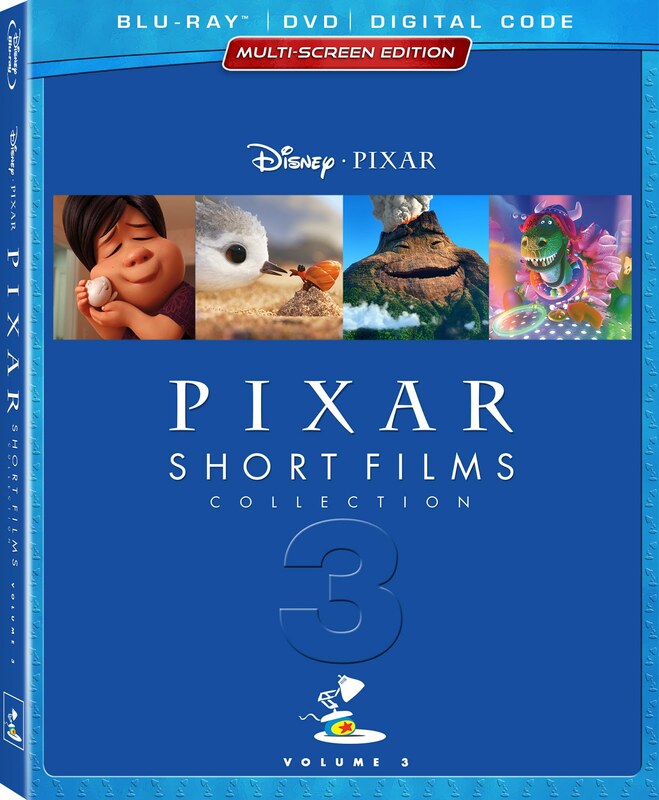 Luckily, Pixar has been making it easier for us by putting their most recent shorts together and selling them in one collectible bundle. Around the town for November! Parents, with the holiday season coming around the corner we need to find some fun activities to do with our children when they are out of school. Luckily there are some great places to go to that are only minutes away from Chicago. Are you ready to see what's available? Let's take a trip! Disclaimer: The Fandads were provided with an advance copy of Incredibles 2 for our review. All thoughts, opinions, and attempt to save the world are our own. When the Incredibles ended with the family all donning a mask and getting ready for action I wanted more. I mean if you are going to end the movie with a cliffhanger, you should give us a resolution soon, not 14 years later. 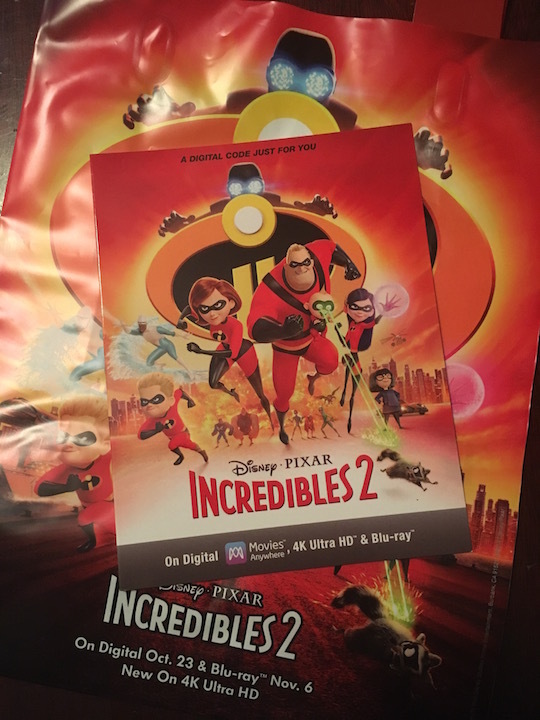 Thankfully, Incredibles 2 starts off where the last movie ended and the story continues from there. 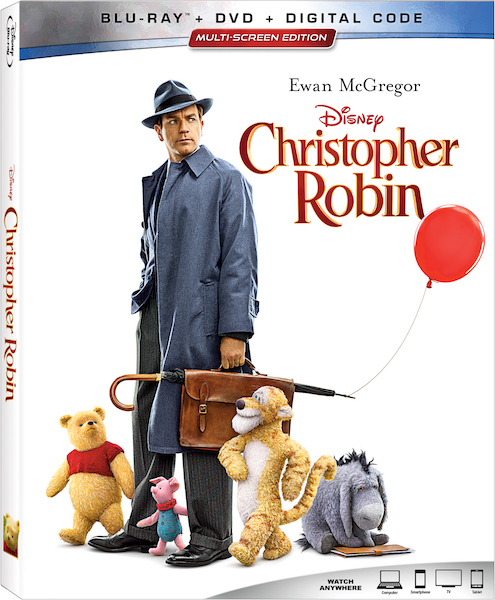 Disclaimer: The Fandads were provided with an advance copy of Christopher Robin to review. All thoughts, opinions and dusty eyes are our own. I remember the first time I saw the teaser trailer for Christopher Robin. I knew it was a movie about Winnie the Pooh, but the moment I heard his voice my eyes started to tear up. There is just something about his voice that brings back so many memories for me and seeing him live was just the icing on the cake. 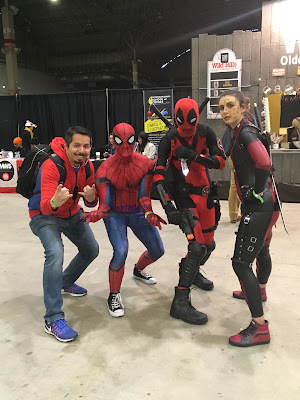 The Fandads have been attending the Chicago Toy and Game Fair since 2012. Every year our children have a lot of fun playing with all of the cool toys that are available to play with. We always have fun seeing them enjoying themselves, and we have fun playing with the toys ourselves, too. Here is a quick rundown as to why you should attend the show and maybe there will be something for those of you that read until the end. Let's begin! 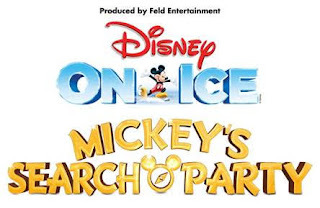 Disney On Ice presents Mickey’s Search Party is bringing guests closer to the magic than ever before through dynamic and immersive moments that take place on the ice, in the air and in the seats. This participatory adventure delivering compelling storytelling through multi-leveled production numbers arrives in the Chicago area in January, with performances Jan. 24 to 27 at the Allstate Arena in Rosemont, Ill., then moves to Chicago’s United Center, Jan. 30 to Feb. 2, before returning to the Allstate Arena for a final week, Feb. 7 to 10. Tickets are now on sale for both venues. 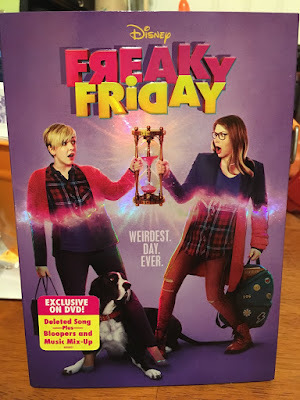 Disclaimer: The Fandads were provided with a review copy of Freaky Friday in exchange to host a giveaway for the movie to our readers. All thoughts, opinions, and switched up family members are our own. There have been a few versions of the Freaky Friday movies previously released and Disney has released another version this week. While each version is the same story, there are a told in a few different ways than the previous version. Let's go through these versions and see where this one ranks amongst them. Disclaimer: The Fandads were provided with a review copy of Solo: A Star Wars Story in exchange for a review. All thoughts, words, and credits lost on Sabacc are our own. When it was announced that Disney was going to release a Star Wars movie every year, the ideas of movies that would come out felt endless. As fans of the Star Wars movies, we all have ideas of what movies we would like to see or what characters we want explored on the big screen, but with the vast amounts of characters it will be hard to please all of the fans wanting to see their idea of Star Wars on the big screen. 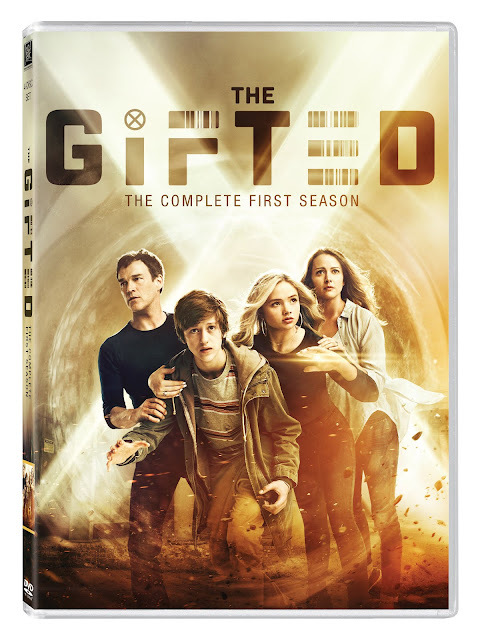 Disclaimer: The Fandads were provided an advance copy of The Gifted to promote the home release. All thought, opinions and mutant powers are our own. With the few shows on television that continue the story of mutants or Inhumans, The Gifted is a little ahead of the pack by combining some great actions sequences while telling a powerful tale of family. Where Agents of S.H.I.E.L.D and Legion fall short, The Gifted shows a strong promise to be one of the must-watch shows of the expanded Marvel Universe. 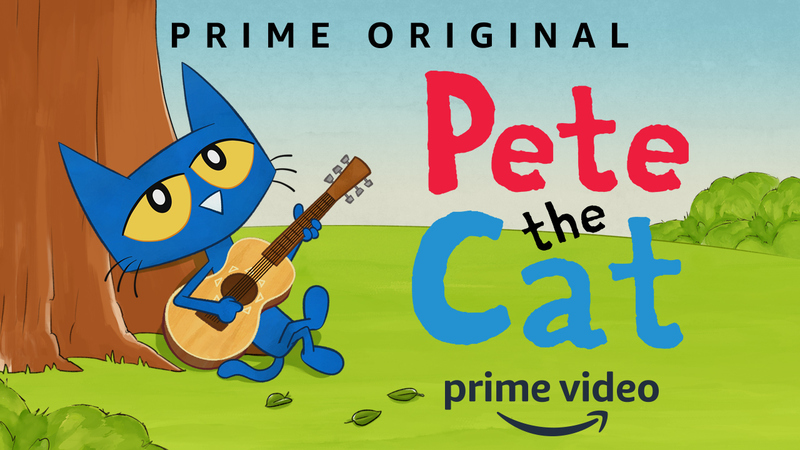 Friends, I am excited to share with you that one of the coolest cats that we know is now going to have his very own show on Amazon Prime Video! Yes, Pete the Cat is going to have a new series that premieres today, September 21st on Amazon Prime Video! Disclaimer: Our friends at Allied Chicago are providing the Fandads with giveaway copies of The First Purge in exchange for promotion of the home release of the movie. It seems that every new Purge movie that comes out keeps getting more and more intense. I mean, just the thought that people can literally do anything they want for one night it not only scary but also insane. I do not know what I would do in this situation. I know I will do all I can to protect my family, but it is just strange thinking that something like this could ever happen in today's society. Coming out today on Digital Download is the fourth entry in the Purge series: The First Purge. It's finally here! 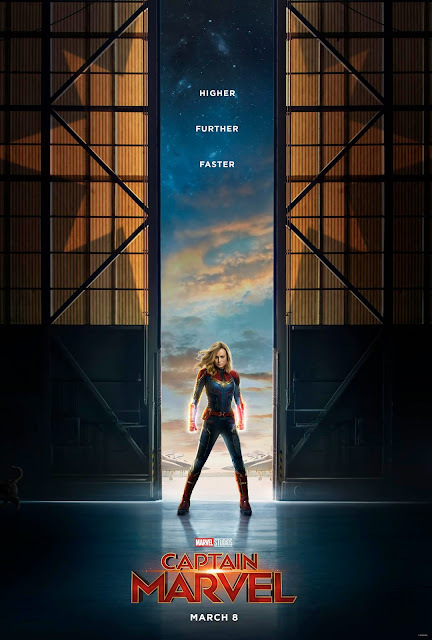 The long awaited trailer for Captain Marvel! There are a lot of great images in this trailer but the one that got me excited is the return of Agent Coulson! Check out the trailer below and share your thoughts with us in the comments below. 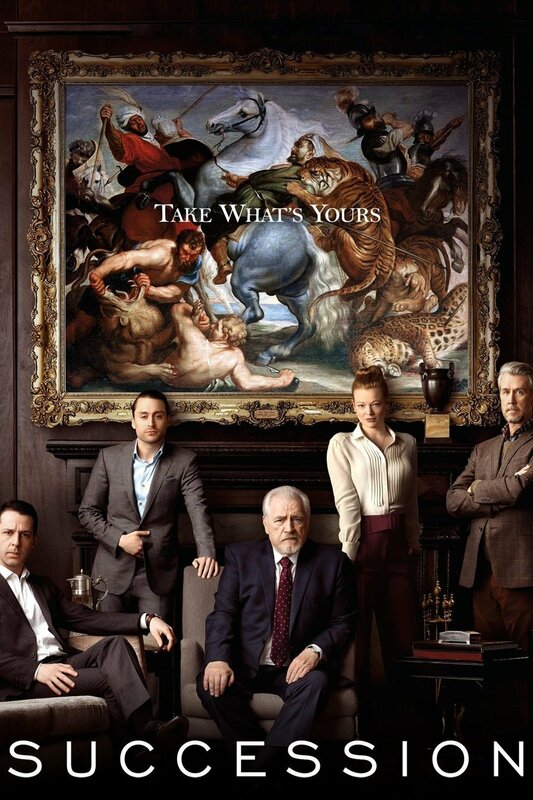 Disclaimer: The Fandads were given a digital copy of the HBO's Succession to promote the Digital Download release. All thoughts, opinions, and sleepless nights are our own. Out now on Digital Download is the insane HBO show, Succession. While I have not finished this show I try to sneak in an episode or two at night when everyone is asleep. The only drawback to that is that I end up falling asleep too. Now that it is out on Digital Download, I can catch up with the series on the train ride to work. Have you seen this show yet? Read the official synopsis after the break. Disclaimer: The Fandads are promoting the release of Season 5 of Silicon Valley in exchange for a giveaway promotion to our readers. All thoughts, opinions, and computer issues are our own. You might need to refresh your page if the image above does not load properly. Just released yesterday on DVD is season 5 of Silicon Valley and what can we say again about this show that we have not said before? It's such a fun show and a pretty fun way to see what might actually happen in the tech world. Ok, maybe not everything happens like it does on the show, but it would be pretty cool if it did. This show is a favorite of mine and I can not wait until the next season comes out. Friends, it's that time of year again, the first day of school. This year is a little bittersweet, not only for my wife and I but for many other parents that have their last child starting kindergarten. My son is going to start school this year and I know two days that are going to be somewhat depressing in our household: Mondays and Fridays. Disclaimer: The Fandads worked with The Rock Father and Nintendo to attend the pre-launch of the Nintendo Labo Vehicle Kit in New York in exchange for a review. All thoughts, opinions, and joy from playing with the kit are our own. A few weeks ago my daughter and I were lucky enough to attend a pre-launch event for the new Nintendo Labo Vehicle Kit thanks to The Rock Father (Read our coverage here). While we had a lot of fun driving, flying, and diving with our on-screen vehicle, you will have your chance to try out these new vehicles in two weeks. Yes, friends, the Nintendo Labo Vehicle Kit will be available on September 14th! Blue Man Group, continuing its open run at Chicago’s Briar Street Theatre (3133 N. Halsted), is thrilled to announce its fall performance schedule, along with the debut of a new ticket package in partnership with Navy Pier. 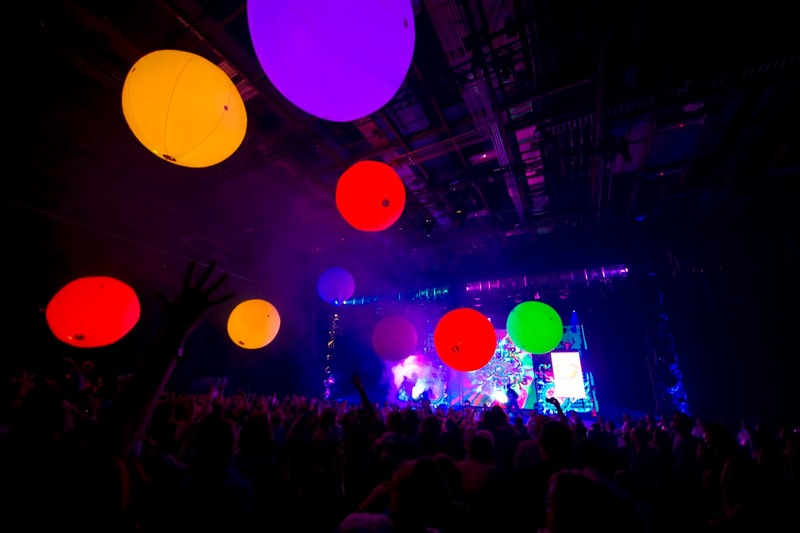 Chicago guests can now take advantage of a special package to experience unparalleled, 360-degree views of Chicago from the city’s most iconic year-round attraction, the Centennial Wheel, in addition to Blue Man Group’s critically hailed production. Transformers: Robots in Disguise was a fun series which showed us Bumblebee as a leader and how he led two teams against the Decepticons. With the new Bumblebee movie coming out later this year, Cartoon Network is going to keep Bumblebee in the public eye by having him as the lead of the new Transformers Cyberverse. 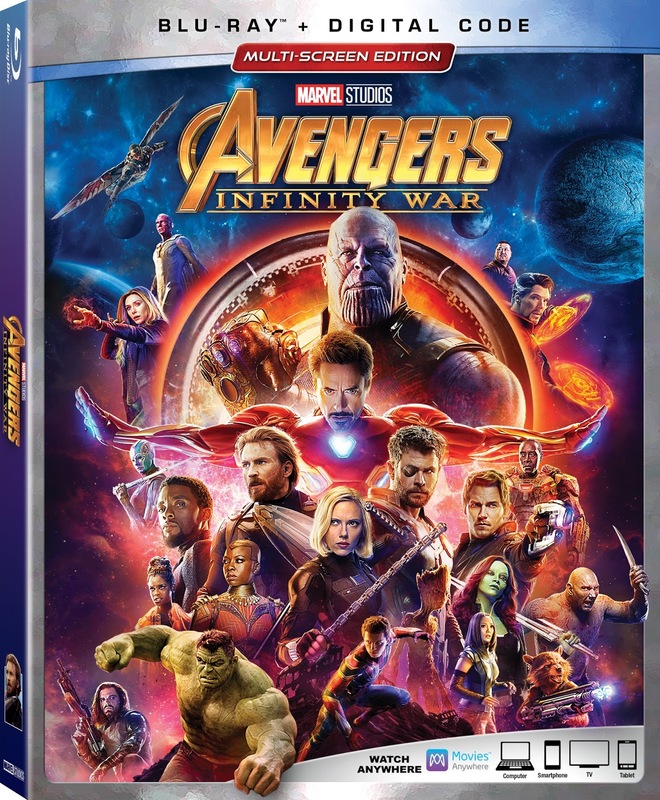 Disclaimer: The Fandads were provided with an advance copy of Avengers: Infinity War for review. All thoughts, opinions, and tears are our own. I remember when the Avengers movie was released how awesome it was to see the characters that I followed in their respective comics books and movies all together on the big screen. Just that rotating shot of the group getting ready to take on the incoming Chitari army was more than enough to get this Fandad excited about the upcoming possibilities. 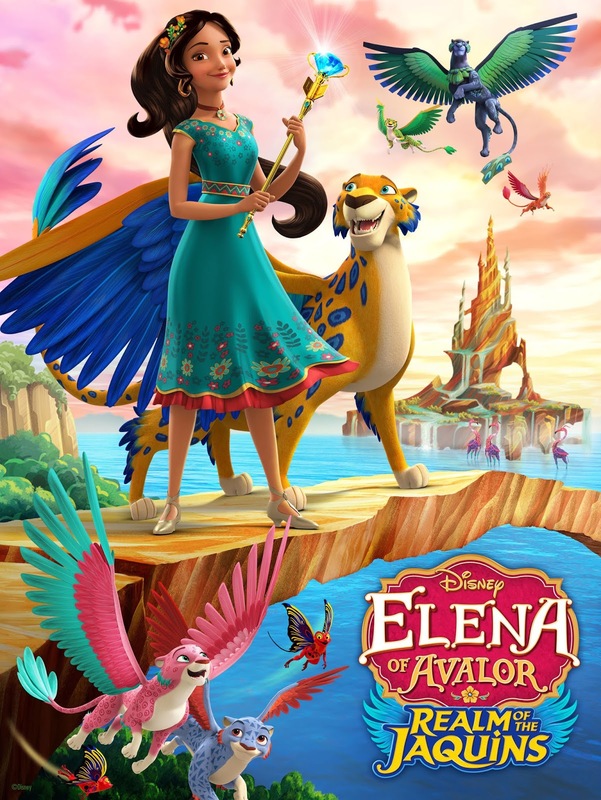 When I first heard about Elena of Avalor in 2016 I was excited. This was the first time there was going to be a Latina princess on the Disney Channel with her own show. 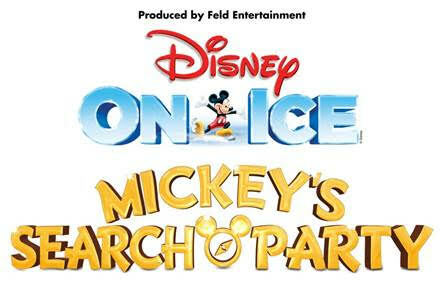 My daughter was excited too because this was another show that she could watch with a Disney princess on it. Now two years later the show still continues to delight us with fun stories and great messages about family and responsibility. 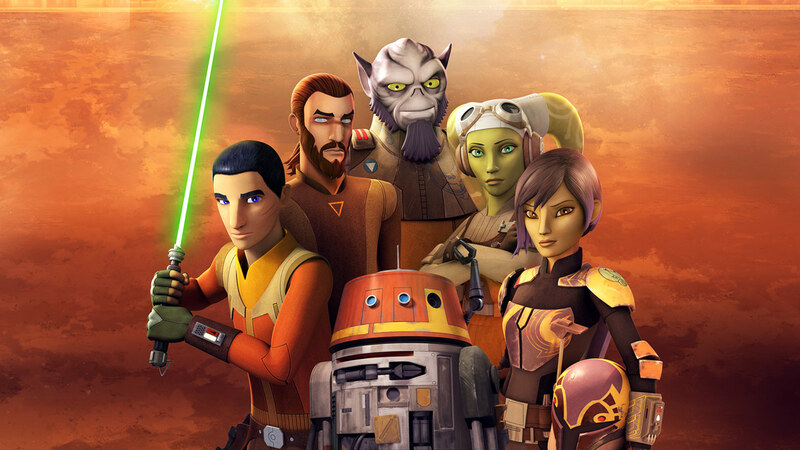 If you have not been watching Star Wars Rebels you have been missing out on a great expansion to the Star Wars universe and some incredible storytelling. Now, this may sound like a big statement to make, but if you have been watching the show you know it is a fantastic show and that is why it is bittersweet that is has ended. 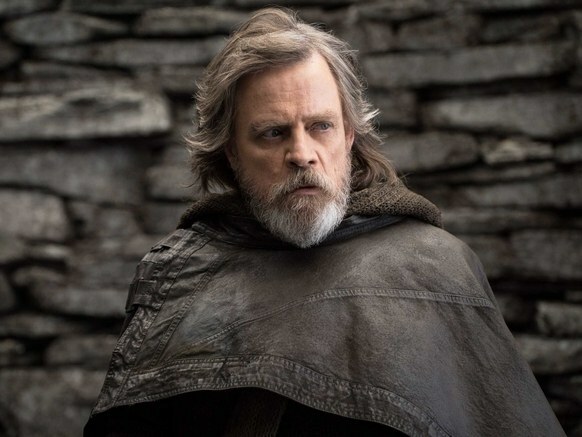 Who is returning to Star Wars: Episode IX? Thank you Jack and Andrew! I have been sitting on this post for awhile. I guess you can say that I do not know what people will make of it, but with the suicides of Anthony Bourdain and Kate Spade, I decided that I need to put this out there. I have to share this because we need to be talking about what struggles people go through. Plus, sharing our stories might help someone out there so we should not be afraid of them. Here it goes. 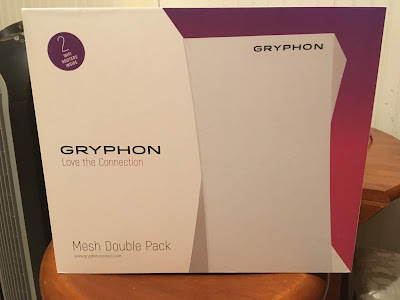 Disclaimer: The Fandads were provided with a Gryphon Mesh Double Pack for review. All thoughts, opinions, and children being upset because their internet time is cut short, are our own. During our annual Father's Day gift guide we gave a brief description of the Gryphon Mesh Routers and how perfect they were in controlling the internet in our household. Well, it's been a month since we had them and as a family that relies on the internet for some of our day to day activities let us tell you how the Gryphon Mesh Routers helped us out. 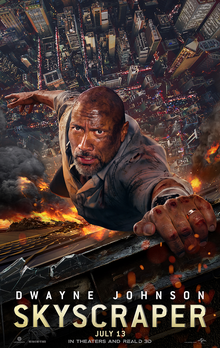 Disclaimer: The Fandads were invited to an advance screening of Skyscraper. All thoughts, opinions and increased heartrates are our own. Summer is the time for movies to take our minds off of the heat and wondering what fun activity you have scheduled next for your children. 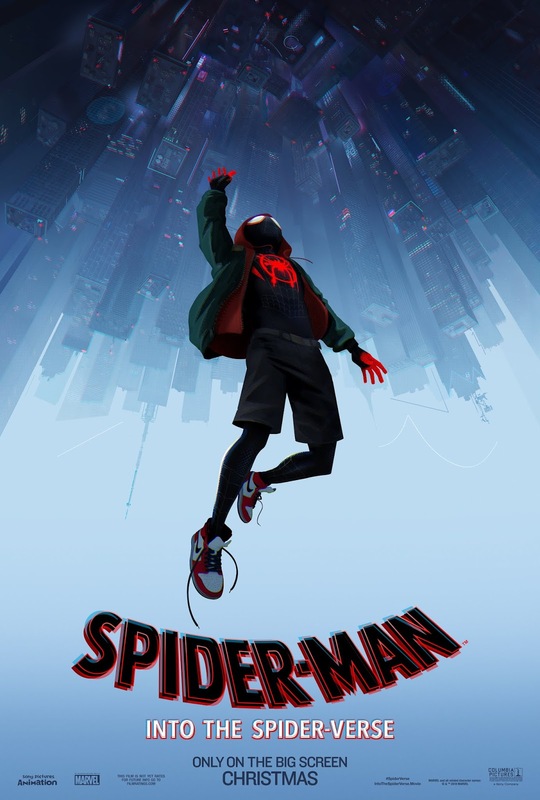 We go to the "blockbuster" movies to escape reality and enjoy some popcorn with our children and Skyscraper checks those boxes and gives us a fun action movie to enjoy for a short time. What's up everyone, it's time for my quarterly post on Fandads! Seriously though, I've got to get on here more often. So does anyone remember the Choose Your Own Adventure series? I loved those books, even though more than a couple of them gave me nightmares. Some of them were seriously messed up, but don't worry this isn't another article about the top 9 craziest CYOA stories or 12 CYOA books that ruined my childhood. No this post is more of a confession. Apologies to Marvel Fans everywhere, and Ryan Reynolds for messing up his sweet gig, but yeah I messed up and got Deadpool killed. Let me explain. 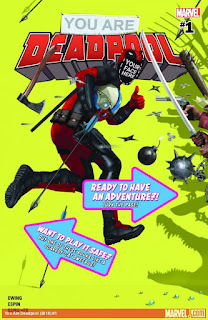 Recently Marvel published a short five issue mini-series called You Are Deadpool. Wait, I thought I was Groot? I usually have anything Deadpool related in my pullbox so I ended up getting this series as well. As can be expected there's the usual Deadpool humor and violence but with a fun twist. Just like the old Choose Your Own Adventure books, these comics allow you to choose what happens next. They also include RPG elements such as stats, acquiring weapons and/or items, and dice rolling. It would probably help to have a notebook and some dice handy but I managed to do without. I played pretty fairly, and honestly gave myself some bad outcomes. Which brings me to my confession...I managed to get Deadpool killed. Dead. Done. Finito. In issue 4 (which I got to jump to straight from issue 1) I made a series of decisions which led me to getting killed by Bullseye. (in a very familiar way) According to Deadpool it's canon and thus I'm not allowed to read anything with Deadpool anymore. I believe Wade said there were no take backs so yeah. Sorry everyone. Well, I always try to look at the bright side of things so at the very least I'll have more time and money to spend on the real deal Choose Your Own Adventure books. As I bounced around the web thinking about what I was going to write I came across their website. 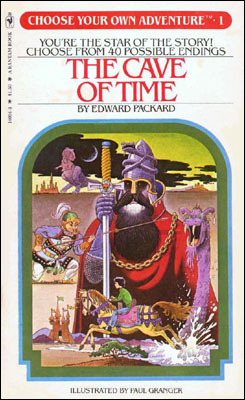 (Chooseco LLC btw, they used to be Bantam Books right?) I took a look and ended up ordering a set of the classics to read with my kids, and some Unicorn one that my kids will go nuts for. I think they're old enough to have their minds warped enjoy them as I did as a child, so many moons ago. So there you have it, the TL;DR version is Deadpool's loss is my family's gain! Until next time...if you choose to leave the UFO turn to page 23, if you try to fly it turn to page 45. 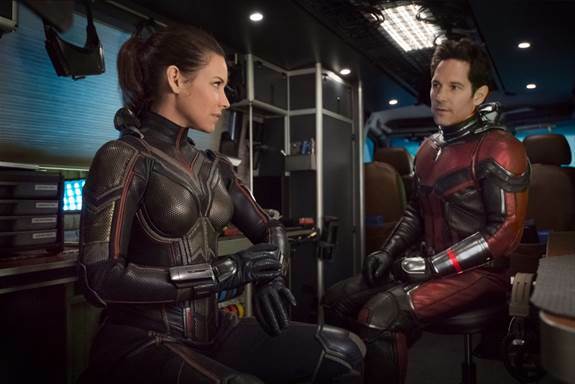 After the earth-shattering ending of Avengers: Infinity War, Marvel fans need a palette cleanser and this is where Ant-Man and The Wasp comes in. Continuing in the same vein as the first movie, Guardians of the Galaxy and Thor: Ragnorok, Ant-Man 2 is a fun-filled adventure that will have you laughing, crying and laughing again. Here is our quick spoiler-free review.